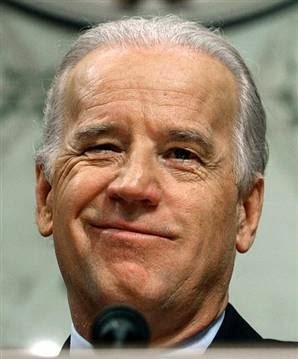 To be sure, Biden’s statements are stunning in their level of clarity considering the consistent stream of lies and disinformation coming from the White House since the beginning of the Syrian crisis. But the fact that there is no moderate opposition and that a number of Gulf State feudal monarchies have funded the death squads from the beginning is not news to anyone who has been following the situation. Nevertheless, it does stand as an important confirmation of everything informed researchers have been saying since 2010 – that nations such as Saudi Arabia, Turkey, and the United Arab Emirates have been supporting Al-Qaeda, ISIS, and other death squads holding a variety of different names for the same organization. I can give you a guarantee to protect the Winter Olympics next year. . . . . The Chechen groups that threaten the security of the games are controlled by us. . . . The Chechen groups that threaten the security of the games are controlled by us, and they will not move in the Syrian territory’s direction without coordinating with us. These groups do not scare us. We use them in the face of the Syrian regime but they will have no role or influence in Syria’s political future. Bandar also allegedly stated that the Chechen terrorists currently involved in Syria at the time were another tool that Saudi Arabia could use at will. Interestingly enough, ISIS has recently stated that Russia is one of its main targets in addition to Syria, Iraq, and other areas in the Middle East (minus Israel). Remember also that former U.S. Ambassador to Syria, Robert Ford, was instrumental in helping to form, facilitate, and support those death squads inside Syria from the beginning of the crisis until he was removed from his position by the Syrian government. The answer, of course, is that America is anything but exonerated in the support for Al-Qaeda, Nusra, ISIS and any other future name change the same jihadist proxy army is given by the West. After all, al-Qaeda itself was created by the United States and the policy of using battalions of religious fanatics to achieve geopolitical goals has been a staple of Anglo-American policy for many years. So if the United States was working hand in glove with the Saudis and the Jordanians and the Turks, and with all the people in the region to identify the appropriate individuals that should receive arms, funds, and training, how did Nusra, Al-Qaeda, and ISIS ever end up with it? Notice also that there was no mention of Qatar as a supporter of terrorism. This omission could have been just one more example of crazy uncle Joe’s blabbery. But it could also have been intentional. After all, there appears to have emerged some serious disagreements between Qatar and Saudi Arabia as to which feudal monarch’s house is to have the dominant influence in Syria. While the tension between Saudi Arabia and Qatar are, in reality, nothing more than two groups of psychopaths fighting for control over the spoils of Syria, there is some level of competition that exists between the two that serves to benefit NATO to the obvious detriment of Syria. Still, some may justly wonder whether or not Biden’s omission of Qatar was the expression of the solidification of a deeper alliance between the U.S. and Qatar. It would, of course, be wise to acknowledge this as a possibility while, at the same time, refraining from reading too much into the statement. Biden has since apologized for the remarks. Joe Biden’s comments are nothing more than a limited hangout designed to cover up the more insidious fact that the United States itself has been supporting the same terrorists as Saudi Arabia, the UAE, and Turkey. His comments only serve to perpetuate the notion that there is such a thing as a moderate opposition in Syria, a concept that is most certainly a myth.